I recently won around 4 cases of these light switch covers at the auction. I gave $10 a box and each box has 72 in it! So I'm all set for a long time. Oh, did I mention that there are only two patterns? 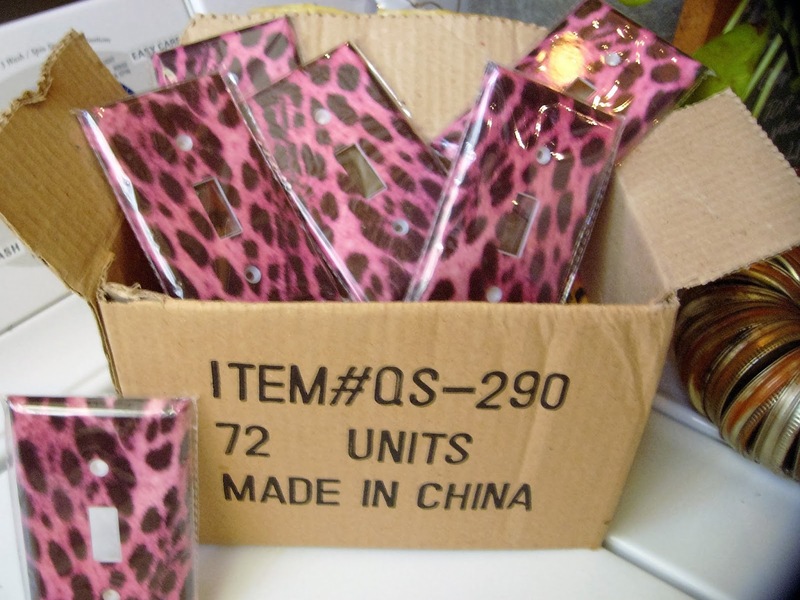 Pink and Black Cheetah and Multi-color Cheetah? And I now have 4 cases of these! I can make these for every season! Here's what I did to them. 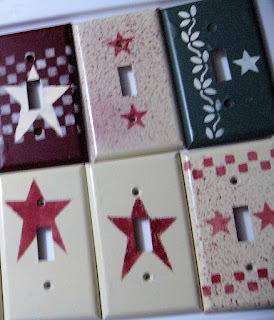 I just spray painted them in base colors of Rustoleum paints and then stenciled on some designs. I finished them off with a clear, varnish sealer from Folk Art. And I placed them back in the original packages to sell them in my craft booth at my local co-op. I priced them for $2.00 each. 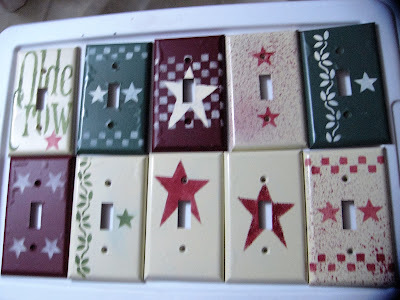 Hope this gives you an idea of something to do to plain ole' light switch covers. You can buy them at Lowes or Walmart also.